My name is Sarah, I’m 29 years old and live in a small town in Wisconsin. I enjoy crocheting, taking pictures, watching my brother play baseball, and road trips with my husband. I like to read and binge watch TV shows on Netflix. 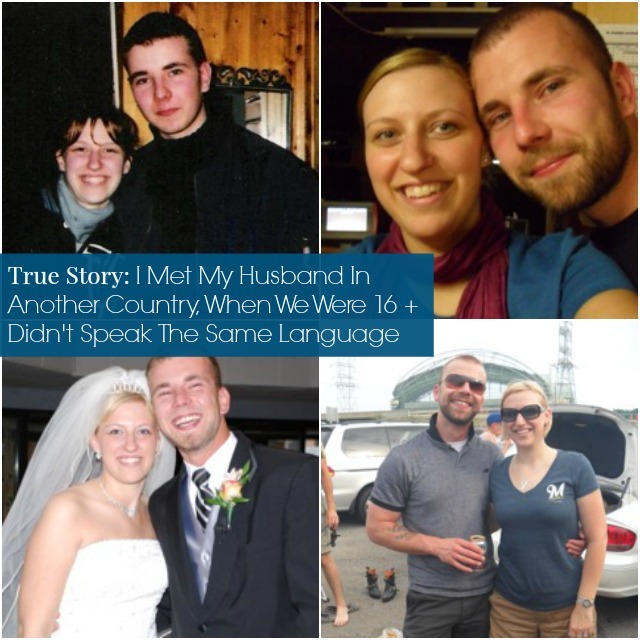 My husband and I also blog at Way We Go.How did you meet your husband? I met my husband Máté, in a bar in Ipolyvece, Hungary when we were 15 and 16 years old. My dad was in Hungary for his job and would visit the bar after work, and it just so happened that Máté’s family owned this bar. My Dad told him about me and said that I was coming to visit and that we should meet. After that initial meeting we have been together ever since. We met in 2001.Máté is a very passionate person. Even though we had troubles communicating early in our relationship it was very easy for me to tell that his family and friends mean everything to him. I am a very family-oriented person to so this was so important to me. He constantly makes me laugh and it’s like the saying goes, “when you know, you just know.” When we first me, Máté invited me to go to school with him. I was so nervous waiting for him and his mom to pick me up that morning. I felt sick to my stomach and thought, “what the heck have I gotten myself into? !” When we arrived at school I could hardly walk up the steps, I wanted to turn and run. Máté opened the door for me and as I walked through I had this immediate calming sensation. I know that this sounds crazy, but I just felt so comfortable with him. It was really from then on that I knew that he was it for me. It can be incredibly hard to communicate your personality through a language barrier! How did you guys do that? We think that when you really are interested in someone, you can find other ways besides language to express yourself. Máté and I would often listen to music together, play chess, go for walks, drink at the bar (when we were old enough :)), and hang out with friends. You figure out different ways to show the other person what you’re like. Actions speak louder than words, just having Máté hold my hand I knew that we had a connection. How did you two stay in touch once you’d returned to America? We had a lot of phone calling, emails, and letters. With the time difference, it was sometimes a challenge to call at the correct time. I would usually call right before I went to bed which is really early in the morning in Hungary. Needless to say, Máté was not too talkative during those phone calls. Unfortunately, this part of our relationship was before Skype, FaceTime, Viber and all of those cool apps that are out now which make communicating with people in a foreign country so much easier. What did the people in your lives think of your relationship? Our parents were completely on board with it. I think that some of our friends were a bit surprised that we were dating someone that was always so far away. A few relatives thought that my parents were crazy for indulging me in carrying on a relationship that was so serious at such a young age. For the most part, people were really supportive! How often did you see each other in those years? We would usually see each other at least twice a year for a few weeks each time. When summer vacation would be from school then we would spend about a month in each location. These were the visits that I would count down the days to. A lot of young couples struggle with trust issues – even when they live in the same city! Did you two have any of those issues? And if so, how did you work through them? We never really had any issues with trust. I think our biggest struggle was just the communication. I am a more talkative person and I like to verbalize my feelings. Máté, while he is talkative, he doesn’t really like to express his feelings. (This might just be a male thing! )That was tough because when your only means of communication is phone or email, it can be hard to find comfort or sense if something is wrong. I would often cry on the phone when we couldn’t be together and I think was rough for Máté because there wasn’t much he could do from so far away. Tell us about Mate’s decision to come to America for college. I, however, was ecstatic. I couldn’t believe that we were actually going to be in the same place for a long long period of time. I was also a bit nervous, because this was a big step, and he was essentially leaving behind everyone for me. I questioned if I was worth it, good enough, would he decide to go back, all of the what if’s. In the end, it turned out great and he’s been here now for ten years. There’s a big difference between in-person relationships and long-distance ones. How did you two deal with such a big change? It was a bit challenging at first. We went from only seeing each to a few times a year straight to living with one another. It was like any normal couple that is first moving in together. We were both in college so we had that stress, plus I worked a part-time job and the first year Máté was here he couldn’t work. We worked through all the normal things like figuring out schedules, who was doing what around the house, etc, all the usual things that can make living with someone a little difficult.How did Máté manage the culture shock of America? Máté said that he didn’t really feel like he experienced culture shock – I think because he came here so many times before moving. You and Máté got married in 2007 – congratulations! How did you incorporate his culture into your ceremony? For our wedding in the States, I surprised Máté and said my vows in Hungarian. Only his sister and Grandma were able to attend the wedding so they were they only ones in on the surprise. We did broadcast it on the internet so that his family and friends could watch back in Hungary. In 2008 we got married in Hungary. For that wedding, I wore a red dress at the reception which symbolized that I had become a new woman. 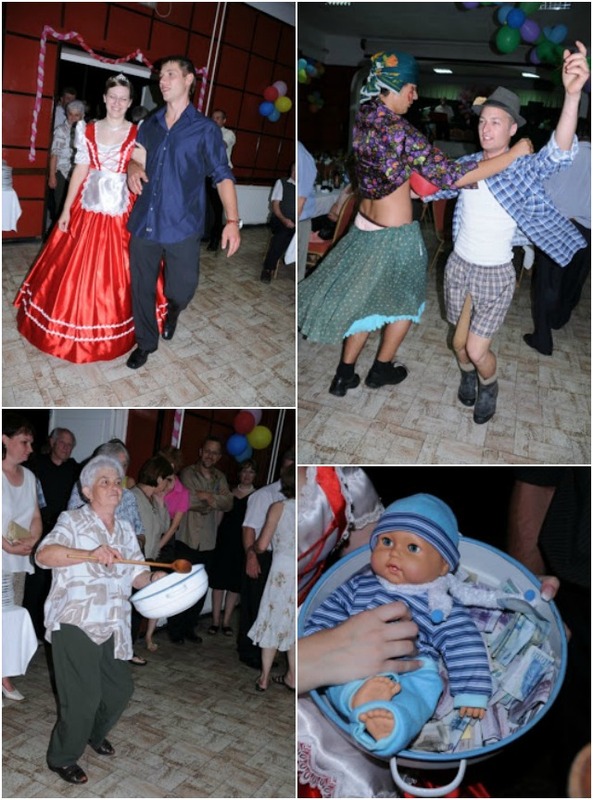 Máté was not allowed to be in the hall while people paid to dance with me. This part was very similar to our version of the dollar dance. Once Máté was ready to come and get me this then symbolized that I was now a wife. You can more photos of our Hungarian wedding here. What have you learned from this that any of us could apply to our daily lives? FaceTime and Viber are AMAZING. It is great for when we are here in the States or when we are visiting family and friends in Hungary. In seconds ,we can be connected and seeing or chatting with one another. Of course, nothing beats being in person. Thanks so much for sharing your story, Sarah and Máté! Do you guys have any questions for them? This is such an adorable story!